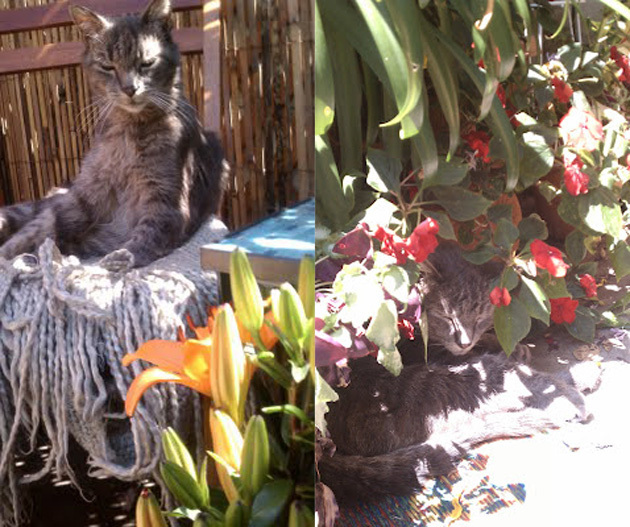 That’s Rhubarb, my 15-year-old lap warmer, lolling on his chair in the garden. Many thanks to Kevin and the fine folks here at Mother Jones for making it easy and thoroughly pleasurable to blog here. Have a great weekend, everyone. And come visit me at Hullabaloo.